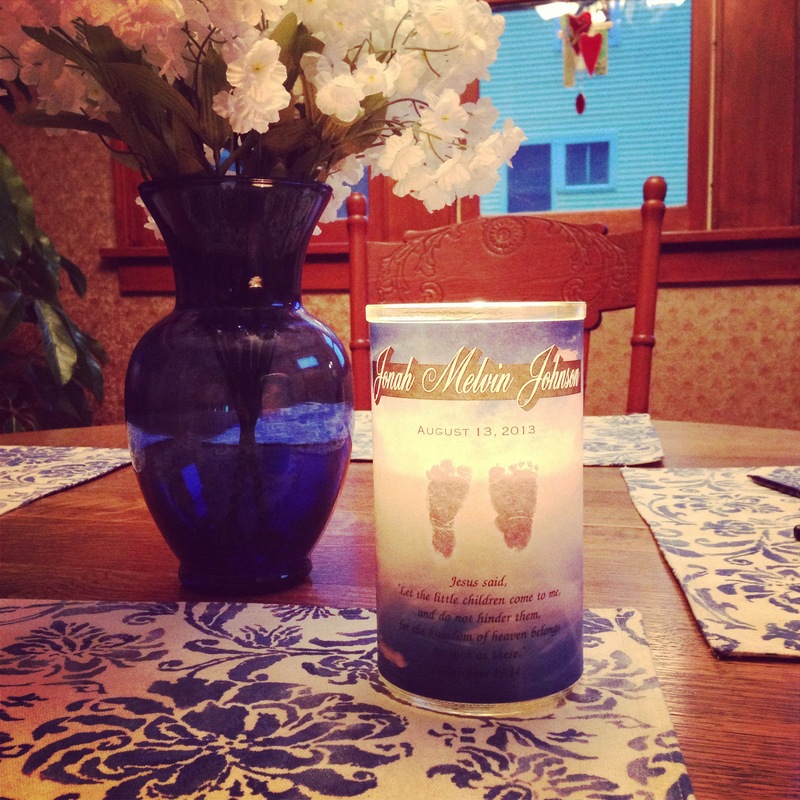 Today is Pregnancy and Infant Loss Remembrance Day and I have had Jonah’s candle lit all day long. It has been a gloomy day here, but his light shines brightly. It’s funny to think that just a few short months ago, I would have never thought about this day and that it would ever pertain to me. But I’m glad this day exists and I’m glad there are other mothers who are speaking out about their loss and not hiding it. Every one of us is so brave and strong. Not only does my light shine for all the angel babies, but it shines for all of their mommys too. This entry was tagged angel, Capture Your Grief, family, heaven, Infant Loss Remembrance Day, Jonah, loss, miscarriage, October 15, Pregnancy, Pregnancy and Infant Loss Remembrance Day, stillbirth, stillborn, wave of light. Bookmark the permalink.